The many attributes to Reclaimed Long Leaf Pine have stood the test of time and make it one of the most popular reclaimed floors. The warm richness of color and durability of its heart wood is undeniably the most recognizable of these traits. The varying grades can give you an elegant to a rustic country floor. We have prefinished many reclaimed heart pine plank floors and the warmth of this heart wood always prevails in the rich patina achieved by multiple coats of tung oil. The classic look of a reclaimed heart pine floor is found within Bingham’s premium grade flooring. Our skilled graders blend the entire “cut” of what the salvaged timbers have to offer into the grade. You will find clear boards, knotty boards and some vertical grain blended together creating a warm and inviting floor. Color variations, sound knot structure and a few drying checks enhance the natural beauty of the floor. Subtle nail holes and other characteristics telling of the floors history contribute in making this our most popular grade of antique heart pine flooring. 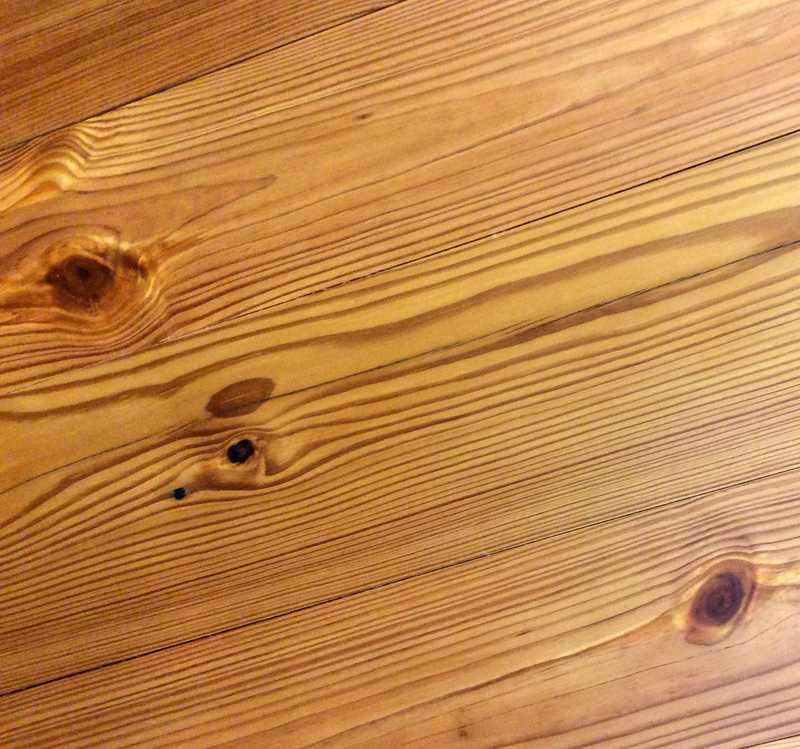 Antique Heart Pine was the fiber of choice throughout the Industrial Revolution in mill buildings and factories. The sheer size of the buildings and the structural timbers is just amazing. These mill buildings and factories are surprisingly uniform and consistent in how they were constructed. The buildings consist of columns, structural timbers and thick decking located on each factory floor and within the roof system. Each of these components provides us with different types of wood fiber creating several grades of flooring.